It's been a while since I've done a budget post. Mostly because we were really terrible at it for a while. This summer was expensive between two trips, weddings, wedding showers and everything else that happens in life. We kept looking at the bank account each month and going, "Where did the money go?!" We have a good amount of disposable income, but in about six months, that's going to be gone. So we've made some big plans to help get ourselves in decent shape for when little man gets here. Daycare - I'm very lucky and my employer just approved 12 weeks paid parental leave. That's at my full salary and benefits. That's HUGE! Aaron also has the same employer, but since the benefit is shared between us, I'll be the one taking the 12 weeks. He will be taking some time off after the baby is born, but not three months. So that means by about May, we'll be paying daycare. Neither one of us will be staying home. Daycare is looking to run between $800-$1000 a month and that's actually not bad for our area. That's nearly my mortgage! New (to us) car - My beloved Baby Mazda (RIP) was totaled two years ago. Thankfully, I married a man with multiple vehicles, so we used the money from the car to buy my gorgeous dining room table instead. No regrets on that one either! I've been driving the Corolla and Aaron's been driving the truck. The truck is 15 years old and has a laundry list of repairs to be made. We'll be replacing the Mazda with an SUV (no minivan for me!) and still keeping the Corolla and the truck. So we're looking at a hefty down payment to get our monthly payments down around $300. Colorado trip - Aaron's cousin is getting married in June 2018. It's probably one of the last times for a while that we will be able to see the majority of his mom's family at once, so we're taking advantage and making a trip out of it! We're still playing around with the budget on this, but we're planning on at least 5 days and some sightseeing. I'm trying to keep the budget around $1,000 - $1,500. And on top of all that - baby stuff! I know that we'll be buying some stuff ourselves, but I don't know how much. We'll just take that as it comes. Here are some things we have done and are doing to set ourselves up for not-failure (success sounds really weird there). We've been living on a fairly tight budget for a while. We have our spending money (we each get $100 a month) and going out money ($150 every two weeks). 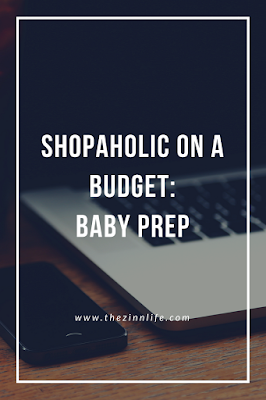 I've upped our grocery budget and accounted for miscellaneous items like hair cuts, household purchases, and our monthly bills. We're saving what will mostly be coming out for daycare and car payments moving forward ($1,300). This gives us an idea of how much we will be able to live on once these new expenses start kicking in while also allowing us to save a good amount each month. Pay Off Debt and Save the Rest! Other than this summer, we've been doing our best to save as much as possible as well as paying off debt when it makes sense. At this point, our only debt is our couch (which has 0% financing), my student loans and the mortgage. Everything else is paid off and is just monthly bills. We paid off all of the credit cards and our new TV. We decided that since we weren't paying interest on the couch, that it made more sense to throw our money at savings for the down payment for the car. When I married Aaron, I was vehemently against buying used. I had a bad experience with a Saturn that lasted all of 4 months (and it was not my fault). My family had mostly bought new and just drove the car until it died, so that's what I planned on doing. However, the car that I want is more than we can justify brand new, so I've compromised in that area. We're looking at cars that are 2-3 years old, from a reputable dealer and with 50,000 miles or so. This allows us to save some money and get a nicer model than we would have been able to get brand new. We're also trying to get enough of a down payment that we're only financing about $15,000 - $20,000 to keep our payments reasonable. We aren't planning to purchase until summer of next year. It's a long plan, but one that will benefit us the most if we stick to it. Oh babies. Babies are expensive and I haven't even had one yet. Just doing the registry was exhausting! We've already made a few purchases from consignment sales and were able to get some really good items for awesome prices. We've purchased two strollers (regular and jogging) for $70 total and I scored a basically brand new convertible Chicco NextFit car seat for $125! You can read about my experience with and tips for consignment shopping here. We also have friends that have baby stuff that they've offered to give us. One of my mom's friends gave us two pack and plays, so now we have one and my parents have one. My goal is to register for what I want, see what we get and then fill in with used items from our friends. Obviously, there are some things you want to buy new, but there are so many items you can get much cheaper (or even free!) if you go used. This one we haven't done that much with, but every little bit counts. We just paid off my iPhone 6s, so that cut our Verizon bill by $35 a month! I won't be getting a new phone until mine turns into a brick and even then, it'll probably be a used one that we pay outright. We've also talked about cutting cable and getting Sling TV. We already have Hulu, Netflix and Amazon from when we cut the cable before, so it won't be that different. That will save us another $25 a month. We cut back our spending and going out when we started the budget that we're on. We aren't being crazy, but we are finding ways to give ourselves a little more room. I think the hardest part with budgeting, at least for me, is that it's a long-term goal. It's not a task I can finish immediately. I like to get things done, mark them off my list. And that's not really how budgeting goes. Kind of like getting healthy. It's a lifestyle, it's a journey. It can take a while to grow your savings, pay down debt, etc. Meanwhile, you're living with this tight budget and not seeing anything in return. But this month, we finally got to see some of it in action. September was the three paycheck month for us. We used to struggle with the third paycheck. It threw off our payment schedules and we always spent the money before we even knew what had happened. Earlier this year, we started planning it out. Not actually touching those paychecks until the end of the next month. We were able to put both of our third paychecks, minus money for groceries, gas and going out, into savings. That's double what we're normally able to save in a month! Those are the wins I like to think about when in the middle of budget crunch. What are some ways you've been working your budget? If you've had kids, what are some ways you found to save money? Help a girl out!